The decision to undergo cosmetic laser treatment is one that demands attention to detail. When patients want the best possible results, experience and professionalism matter. At South Coast MedSpa, our full line of laser services – including laser hair removal, acne scars laser treatment and laser tattoo removal services - are backed by years of experience on which our patients can count. Since 2005 we have specialized in, and perfected our approach to, these three procedures. As recognized world leaders in these applications, we have performed nearly 200,000 treatments using the latest, most advanced equipment in the medical industry. Our team of medical professionals, led by renowned cosmetic physician Dr. Douglas Ballesteros, brings years of combined medical experience to bear in producing superb results for each and every patient. South Coast Medspa has three great locations in Southern California: San Diego, Los Angeles, and Newport Beach. Individual results may vary & results are not guaranteed. Dave Singer of ESPN Virtually Pain-Free* laser hair removal Dave reports 95% reduction on his upper body. The era of hair is over! Actual Laser Hair Removal patient, Julieta Ferrero, has amazing results! As an actress/model/television personality, Julieta has to look on point all the time so she chose SCMS to help shorten her routine and take shaving out of the mix. Model/Actress Alison Lael comes back to SCMS to take advantage of the latest laser technology	Alison has been so happy with her experience at SCMS that she came back to try out the latest laser technology for her hair removal. Prevent razor bumps on beard using Cynosure Elite Plus Technology	Laser hair removal for Beard to prevent ingrown hairs. Using Cynosure Elite plus Yag for Skin Type 4. Bikini Model Laser Hair Removal	Chelsie is swimsuit model working in Los Angeles, in this video she has laser hair removal on her bikini, legs and underarms. As a full time bikini model she recommends laser hair removal at South Coast MedSpa. African American Laser Razor Bump Removal	John has been experiencing irritating razor bumps caused from shaving. Finally, South Coast Medspa has solved his problem. Indian Patient/Dark Skin Treatment	Nafisa explains how South Coast MedSpa has effectively treated her darker skin tone as well as how quick, easy, and pain free the treatment is. Permanent Laser Hair Removal Testimonial	5 years ago Marcela came to South Coast Medspa for laser hair removal. Today, she is back again explaining that she has had "fantastic results" and says "I don't have hair! I don't need to come back!". Check out Marcela's life changing results. Miss California 2012 Laser Hair Removal	Miss California 2012,Natalie Pack, came to South Coast Medspa for laser hair removal. Natalie explains how easy the laser hair removal treatment is. Permanent Laser Hair Removal Female	Two years after her treatment, Erin reports 90% reduction. Gossip Girl model/actress laser hair removal	Allison is a successful young actress living in Hollywood. In this video she provides laser hair removal information about the virtually Pain Free process at South Coast MedSpa, Los Angeles. New Virtually Pain Free* Laser Treatment is 3X faster! Virtually Pain Free Laser Hair Removal at South Coast MedSpa with our breakthrough vacuum assist technology. MMA fighter Thomas Kenney gets laser hair removal @ South Coast MedSpa	Being a professional MMA fighter takes courage and commitment. Thomas is dedicated to being a champion and that is why he choices South Coast MedSpa to take care or his unwanted body hair with laser hair removal. Miss California discusses the importance of male grooming	Miss California tells it like it is - women want a well-groomed man. In this behind-the-scenes look at Natalie Pack recording her ESPN radio spot for SCMS, she explains that women just don't fall for a hairy man these days. So why wait? Summer's just around the corner, choose permanent manscaping with laser hair removal from South Coast MedSpa! Miss California and ESPN's Dave Singer talk about laser hair removal at SCMS	Take a behind-the-scenes look with Miss California Natalie Pack and ESPN's Dave Singer as they record a radio commercial for laser hair removal at South Coast MedSpa. Both Dave and Natalie are actual SCMS patients! Laser Hair Removal Treatment	Rose is here at one of our San Diego offices in La Jolla. She is here today for laser hair removal. African American Laser Hair Bump Removal Testimonial	Bella has had several laser hair removal treatments to resolve her hair bumps. She explains here life changing results and her experience at South Coast MedSpa so far. Dark Skin Tone Laser Hair Removal Treatment	Marina is here at South Coast MedSpa for her first laser hair removal treatment. Marina explains that the treatment was PAIN FREE! Laser Acne Scar Removal	The beautiful Suttee absolutely radiates following her acne scar resurfacing treatments at South Coast MedSpa. Profractional/Bellafill combo South Coast MedSpa uses the latest techniques in acne scar treatments. By combining Profractional Laser Resurfacing and Bellafill Dermal filler, we were able to help Sara achieve amazing results! Great Acne Scar Removal Results on Temples John is excited for his second treatment after the first went so well. 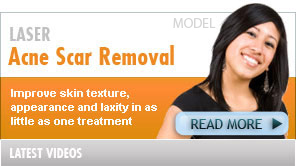 Westwood LA Acne Scar Resurfacing	Scott comes to SCMS to erase the acne scars that have always bothered him. Acne Scar Removal Irvine-Tustin-Anaheim-Fullerton Kathy joins SCMS for her first treatment and already has a noticeable improvement. Chino, CA Laser acne scar removal	Javier was bullied in high school due to his acne and came to SCMS to get rid of his scars and the awful memories. Laser Tattoo Removal Treatment	Monica has been coming to South Coast MedSpa for several years now. She is here today for another laser tattoo removal treatment. Quick Laser Tattoo Removal Treatment	Monica is here at South Coast Medspa for another laser tattoo removal treatment. Treatment time is only 2 minutes. Laser Tattoo Removal	Annita discusses her laser tattoo removal experience at South Coast Med Spa. Upper Arm Tattoo Removal	Joe came to South Coast Med Spa for tattoo removal from his upper arm. This is his first treatment. See part of the procedure and hear from Joe afterwards. Texas tattoo removal	Texas is famous for tattoos and now many texans are coming to South Coast MedSpa for laser tattoo removal. Unwanted, unsightly hair is a nightmare for people to contend with on a regular basis. Waxing, shaving and other remedies offer only short-term solutions. At South Coast MedSpa, we provide our patients with a more permanent solution. South Coast MedSpa provides treatments for patients across Southern California, including for Los Angeles laser hair removal and San Diego laser hair removal patients. Laser hair removal techniques have advanced greatly in recent years and South Coast MedSpa remains on the cutting edge. At SCMS, our clients can expect a process that quickly and effectively removes unwanted hair with little or no discomfort. Our system is gentle, safe, fast and effective for any skin type or coloration, too. There is no reason to put up with unwanted hair any longer. The South Coast MedSpa laser hair removal treatment process can take it away using a laser diode that destroys hair follicles while minimizing any risk of burns, scarring, irritation and hyperpigmentation. When our services are relied upon, patients can say goodbye to razors, waxing and messy creams. For people plagued with acne scarring, looking into a mirror is a painful experience. At South Coast MedSpa we can help make this a pleasure once again. Since acne scarring tends to damage the skin’s outer layer, acne scars laser treatment is an effective and safe way to gain a new lease on life. Our process involves not only resurfacing the skin, but also stimulating collagen production for greater lift and elasticity within the skin. To be free of these scars from acne the cost for laser treatment far outweighs the pain of living with them. While tattoos are considered permanent forms of expression, sometimes people who have them wish they weren't so lasting. Fortunately, laser tattoo removal can be quite effective at undoing the past. At South Coast MedSpa, our laser tattoo removal process can reliably remove dark ink and red ink tattoos. The process is also effective on sky blue and green ink as well. After several treatments, our patients realize dramatic fading of their tattoos at a rate of 95 percent or greater. Enduring cosmetic concerns like acne scarring or unwanted hair or tattoos is not necessary. At South Coast MedSpa, we are here to help. Whether patients are looking for a laser tattoo removal Los Angeles practitioner or laser tattoo removal in San Diego, they'll find treatments that are backed by experience and the latest in technology at South Coast MedSpa. If you are ready to take the first step, contact our offices today. Our professional staff members are standing by to help set up an initial consultation. 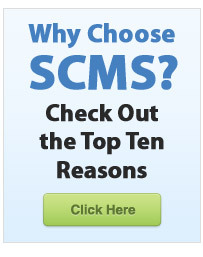 How long has SCMS been doing laser hair removal? How many treatments will I need for laser hair removal? How effective is laser skin resurfacing? How many treatments will it take to remove a tattoo? South Coast MedSpa provides the information contained in this website for educational purposes about laser hair removal only and should not be construed as medical advice or to replace a consultation with a qualified physician. Serving the areas of Beverly Hills, Huntington Beach, Irvine, Long Beach, Los Angeles, San Diego, Newport Beach, and Orange County, California.